While writing a java net application I've encountered an interesting problem, which solution was not very trivial. The task was to connect to one website, parse the output, and write extracted information to a file. At first glance the task is "a piece of cake", but the problem appeared at the stage of connecting to the web site. The site uses the https protocol, and I had to use something more complex than basic java's HttpURLConnection. I've tried to use java's HttpsURLConnection, but while connecting to the site I received the following exception, which got me stuck me for a while: javax.net.ssl.SSLException: bad_record_mac. Eventually the problem was solved and the solution is described below. In order to get the better understanding I decided to implement everything based on HttpClient and then debug it to see where it fails. I didn't care about checking the certificates and trusting the connection and just wanted to get the page contents. I've used examples from this blog post that I found pretty interesting. Therefore, I've created MyConnectionFactory that extends SSLSocketFactory. It initialized the SSL context with my own TrustManager and then uses it to create secure sockets. I created the implementation of TrustManager that basically does nothing in its methods - so it skipped any security check. In other circumstances its probably not a wise thing to do, but for my task that was enough, so I didn't want to complicate things. With this code I was able to connect to my https website, but I started to get the exception javax.net.ssl.SSLException: bad_record_mac. And that's where all the fun started - looking into Internet and debugging to get the solution. First of all, I've downloaded source code for HttpClient and started to debug to see where exactly the problem occurs. It was interesting to find out that the problem occurs when the getSession() method is called on SSLSocket. Java performs the SSL handshake and it fails. So, I went to the Internet to find the solution, because very likely the problem was solved before. Quite interesting looks the following stackoverflow answer to similar question, which says that the problem could be due to the load balancing, when the MAC address changes during negotiation. It could be the reason that the problem occurs sometimes. However, in my case the exception appeared every time, so I continued to search. Eventually, I found two different sources that pointed out for the reason and how to overcome it: one is the knowledge base article for JIRA client connecting to server, and another is last coderanch answer. 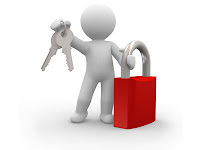 The problem appears because Java tries all kinds of secure socket protocols (TLS, SSLv2, SSLv3, etc.) even if only one is supported by the server. This results in the aborted connection. Trapping this error can be hard if you don't have access to the server. But if not the load balancing, then the reason could be either unsupported protocol, or unsupported cipher algorithm. And it worked! That solved my problem. The handshake went fine, the connection went fine, and I was able to do my task. In conclusion, I can say, that while writing this blog post, I could not reproduce the problem. :) So, maybe, it really has something to do with load balancing - I didn't dig into it. In any case, debugging of SSL problems can be tough, so enabling Java net log by calling System.setProperty("javax.net.debug", "all"); can be very helpful. 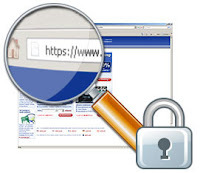 We have found also HTTP connection for SSL at below enlisted URL. I would like to add some additional aid for SSL connection in JAVA. You saved my whole week. Thanks. Old thread, but another easy way to deal with this is in the Java Control Panel - under Advanced | Security | General, you can set Java to only use TLS1.0 or SSLv3. That eliminates the problem as well. Thanks Yuriy! Forcing it to SSLv3 did the trick.